New Moon blessings to all! Finally, a more spontaneous energy is at play. This has not been easy with all of the Capricorn energy which has been around, five planets, plus the Moon, equals Capricorn overload, and Capricorn is not one to throw caution to the wind. It is quite possible that you have set today aside as a launching point, and, if you feel prepared, or not, you may very well be ready to take a leap of faith with a new endeavor in your life. The energy is definitely lighter and more carefree than you may have felt over recent days, due to a recent meetup of Mercury and Saturn back on the 13th. With your bag of tricks in hand, you are ready for new beginnings…nothing ventured, nothing gained. The road ahead will be full of hard work, maybe even a few obstacles, but you are oblivious to that, as you set off on a brand new adventure. 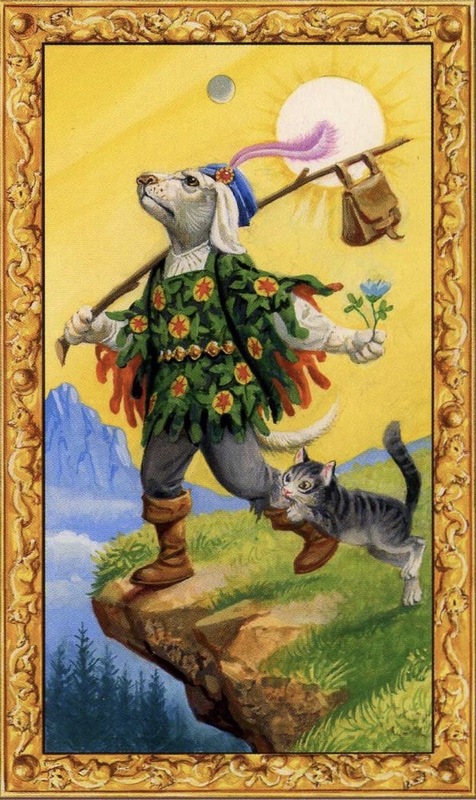 This entry was posted in Card of the Day, General Tarot, Love and Finance, Patreon, Readings, YouTube Videos and tagged Card of the Day, Fool, Guidance, Path, Reading, Tarot.